Pool Hours: Sunday-Thursday 11AM-8PM, Friday & Saturday 11AM-9PM. ~Swimming Pool Online Registration Form 2019 - You can use this or the paper form. Whichever you prefer. Link for online Pool Membership Account Use this link to access your account and guest pass information. If you have not received (scheduled to be sent out in April) your login information, please e-mail us at comptonvillage@verizon.net. 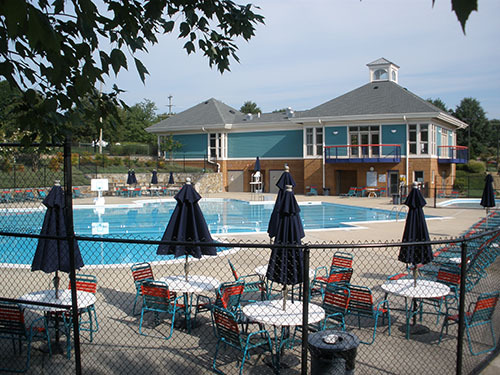 The Compton Village pool is available to all homeowners during the pool season. Pool membership is included in HOA fees. All owners are elibible to utilize the pool so long as their HOA accounts are up-to-date and they don't have any architectural violations. Homeowners, who are leasing out their properties, may cede their pool membership rights to their tenants. To do this, they must fill the release information on the tenant's pool registration form. Passes are issued to the homeowner unless it is specifically noted on the form. The Compton Village pool is managed by High Sierra Pools.